Ever put on a horizontally striped shirt and feel like you gained two cup sizes? 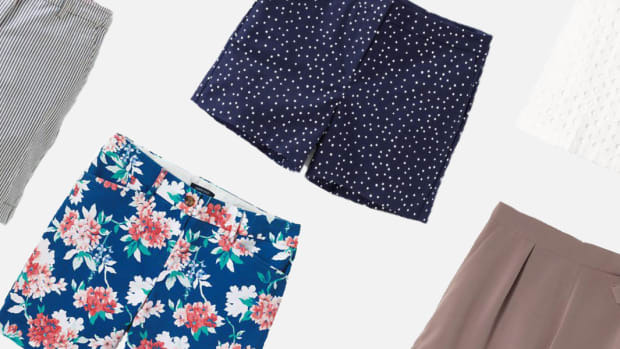 That’s because color and pattern affect the eye’s perception of an object—a visual truth you can put to work in your closet to flatter your figure and shape. For any shape, the goal is to create balance. 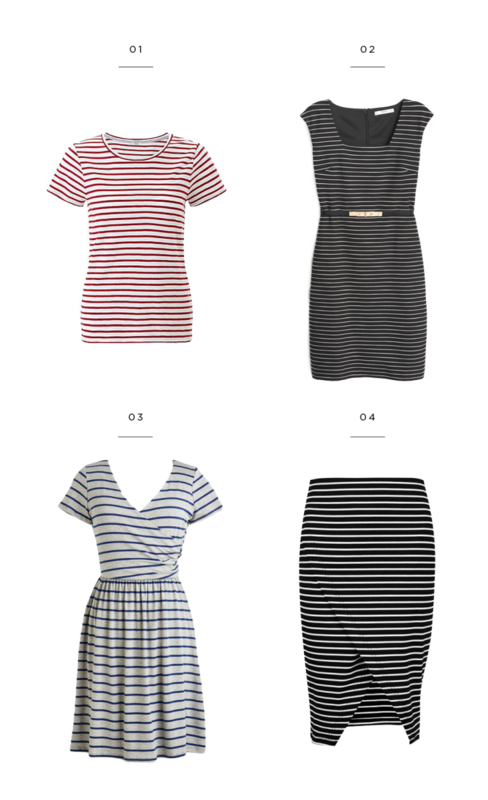 Wherever there is more volume on your body, vertical or horizontal stripes can help balance it out. When it comes to fall’s hottest pattern—stripes in every width, color, and direction—use stripes that work with your eye to look your best. A good rule of thumb: Vertical stripes create length, whereas horizontal stripes create width. 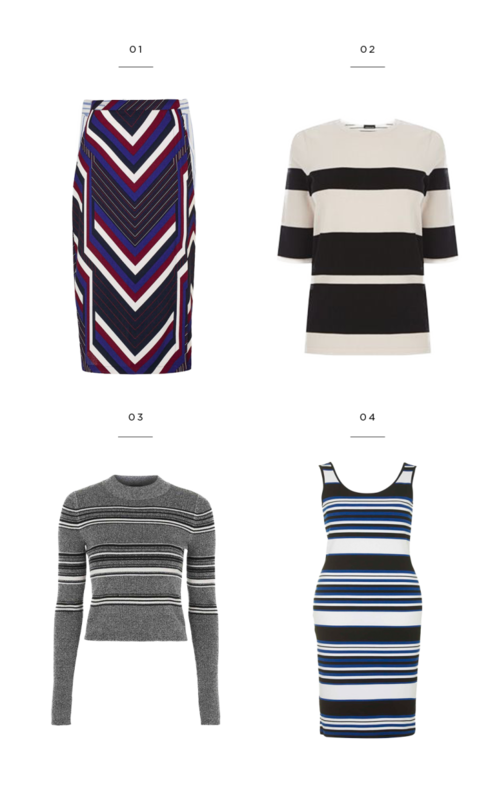 Whatever your body type, there is a stripe for you. If your shoulders are wider than your hips and thighs, you are a heart shape. You may also find that you tend to carry weight in your arms, bust, and tummy. Because there is more volume on your torso than on your lower half, avoid horizontal stripes on your torso that create more volume and width. Rather, look for vertically striped tops that create the illusion of length. When wearing stripes on your lower half, go for horizontal. Because your hips and thighs are narrow, the horizontal stripes will create width, thus balancing out the volume of your torso. If you carry your weight in your hips and thighs but have a smaller bust size and narrow shoulders, then you, m’dear, are a pear shape. Tops with horizontal stripes are the way to go for you. 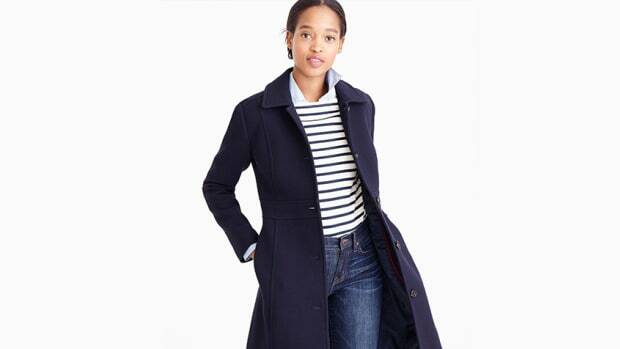 Thicker horizontal stripes will create volume on your torso, balancing out the volume on your lower half. 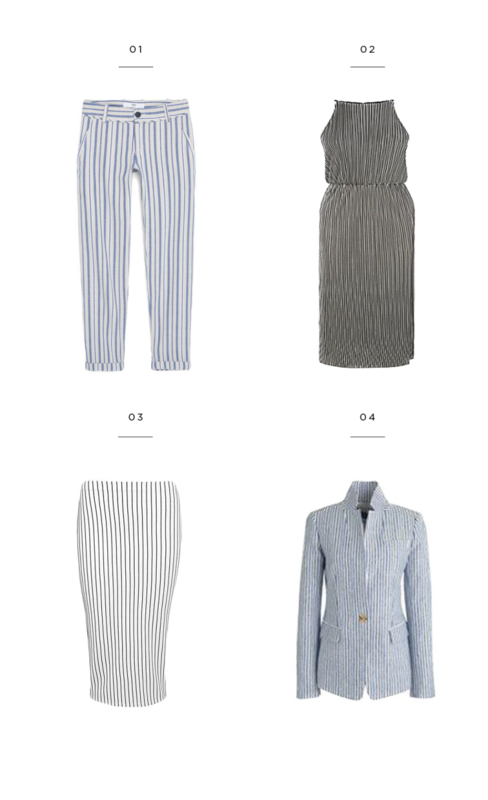 For bottoms, look for vertical stripes that elongate your curvy legs. If you’ve been described as “straight up and down,” and you don’t carry your weight in a concentrated area, you may be a rectangle shape. If you’re taller and don’t define yourself as curvy, stripes could definitely be the ticket for achieving some body contour. Horizontal stripes of varying widths look great on you. They create curves where you may not have them while still flattering your natural figure. Smaller stripes create a narrowing illusion, whereas thicker stripes create a widening illusion, so opt for larger bands rather than narrow stripes to create the illusion of having more curves. 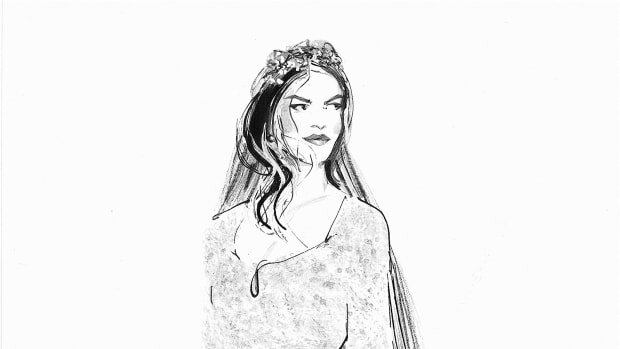 Do you find yourself drowning in regular-size clothes and frequenting your local seamstress? If you’re shorter than 5 feet 3 inches and small-boned, you are petite. Wide horizontal stripes have a tendency to make you look shorter because of the widening effect, so go for vertical stripes. 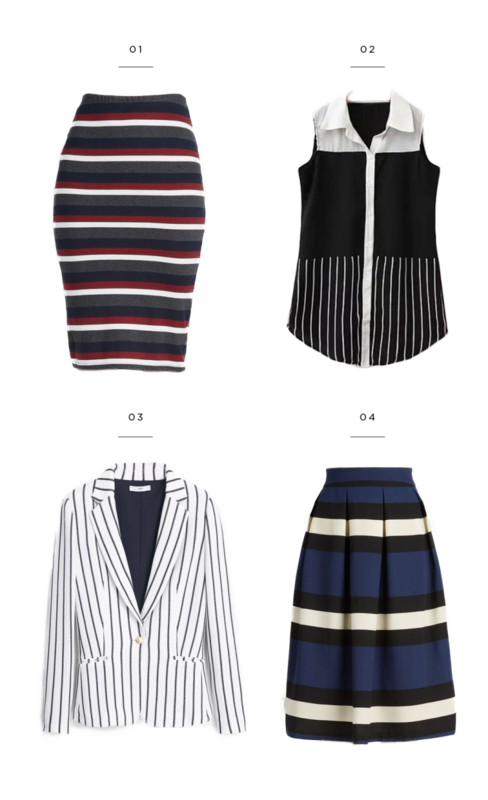 There are some great pinstripe pieces this fall—try one out to elongate your figure. 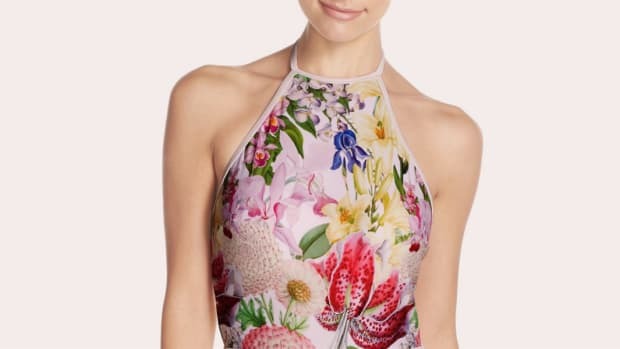 If your hips and shoulders are equally proportionate to each other, and you have a small waist, you are an hourglass shape. Lucky for you, you can pick and choose your stripes. 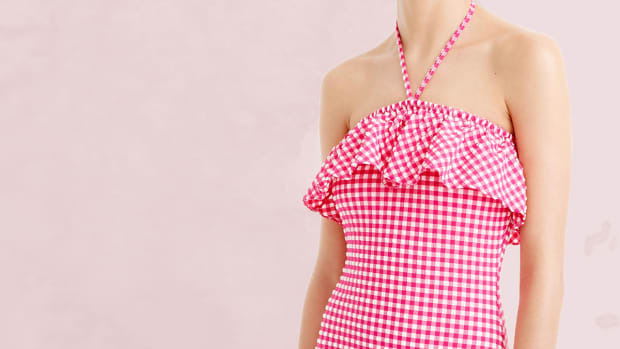 The goal is to emphasize your narrow waist, so pick dresses, bottoms, and tops that hit your waistline. 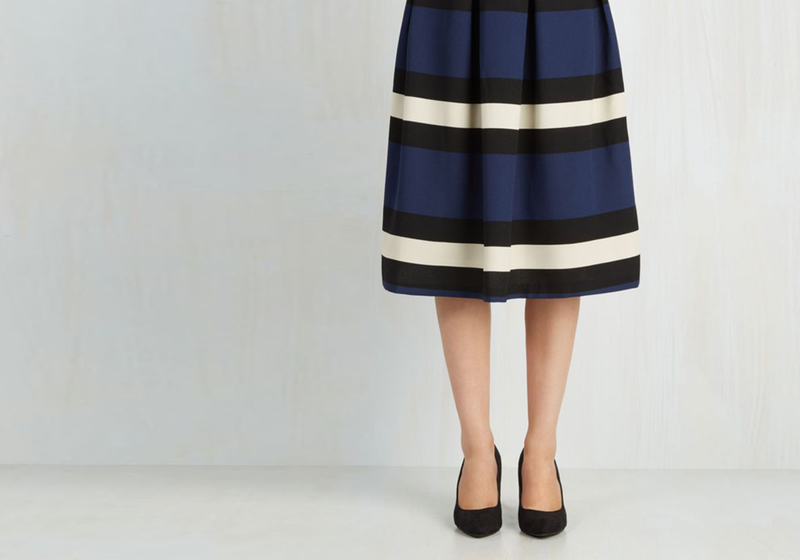 Horizontal stripes are best for complementing your proportionality and curviness. It’s best to stay away from anything too loose—without the cinch in the waist, your figure can get lost, and there’s no need for that!